They rode in, they drove in, were trailered in or towed in. They arrived by night or in the early morning fog. They came for the show. On Saturday, June 1, 2013 over 5,000 spectators and more than 350 display vehicles arrived on the campus of the Boys Republic in Chino Hills, CA for the 6th Annual Friends of Steve McQueen Car and Motorcycle Show benefiting the venerable school. 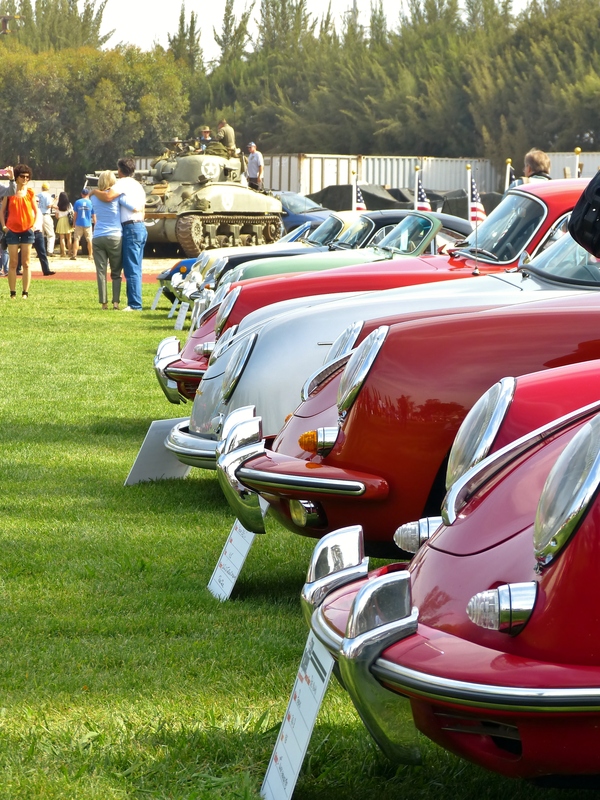 Founded in 2008 by members of the Porsche 356 Club of Southern California, the event raises awareness and funds in support of the Boys Republic, a private, non-profit, nonsectarian community for at-risk teens, established in 1907. 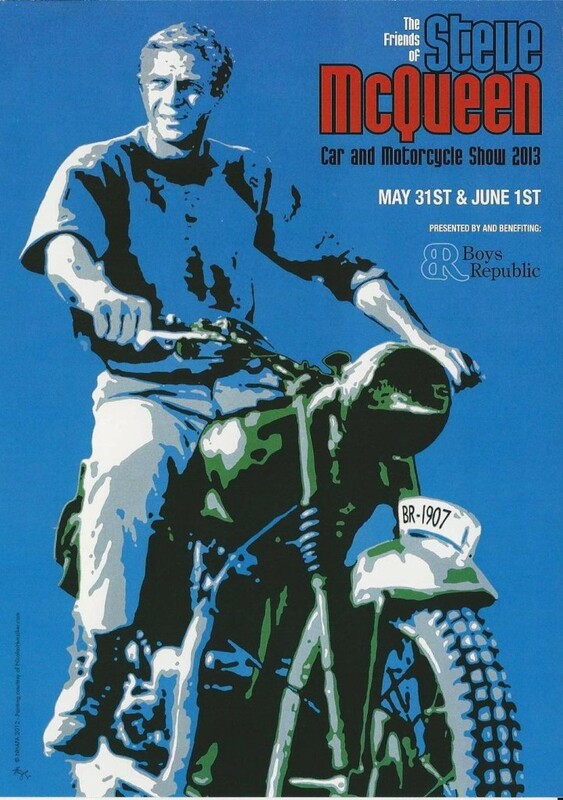 As a Boys Republic 1947-49 alumnus, McQueen earned self-respect through work and accomplishment during his stay at the facility. The actor never forgot and was a frequent visitor even after he became a Hollywood star. one of the great fun highlights of this year’s show was a successful recreation of The Great Escape’s famous motorcyle jump scene. I’m not sure who the young guy is who rode this stunt, but he pullled it off twice, flying high through the air with perfect landings both times — well done. 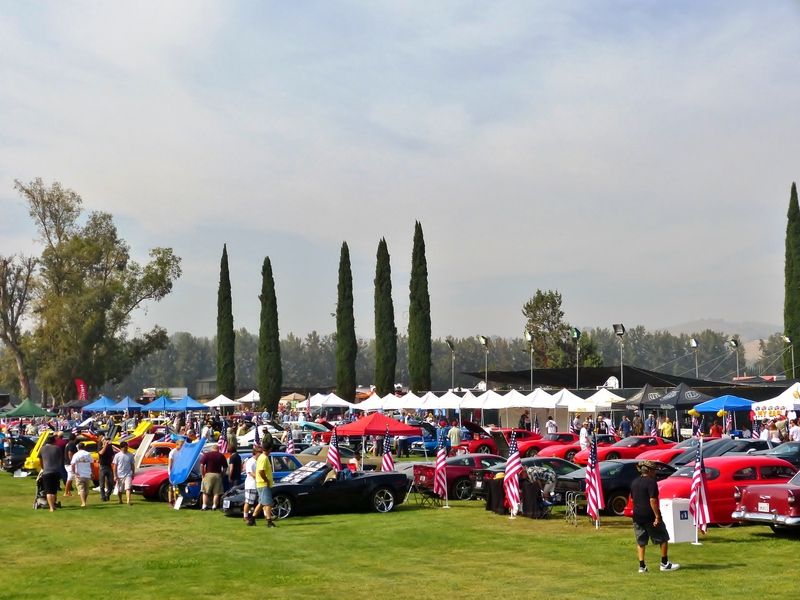 The Friends of Steve McQueen Car and Motorcycle Show blends McQueen’s passion for cars and motorcycles with his passionate support of the school. 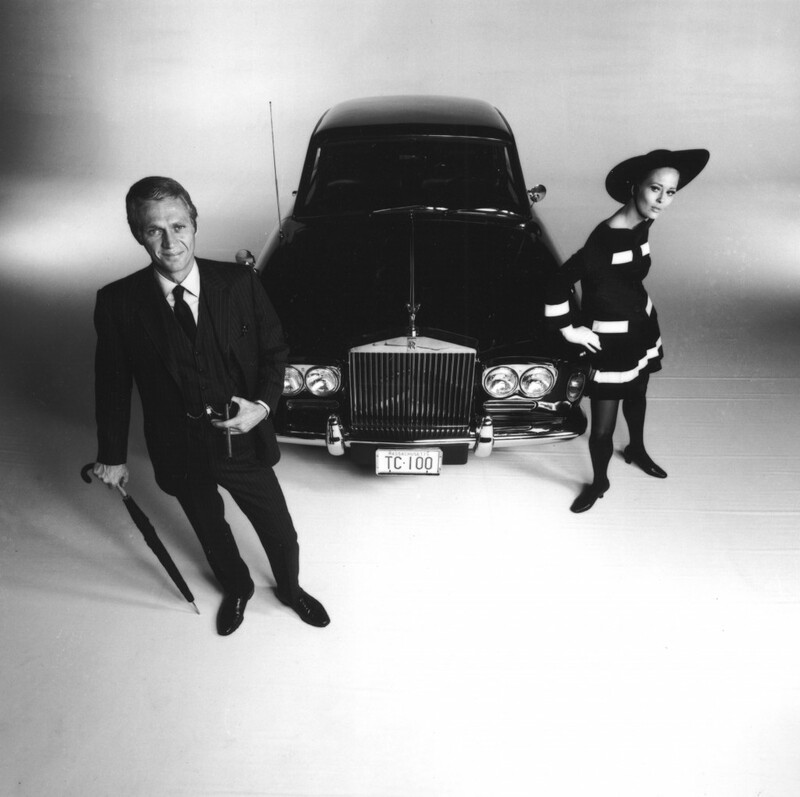 Each year, a theme from a McQueen movie role is woven throughout the event. 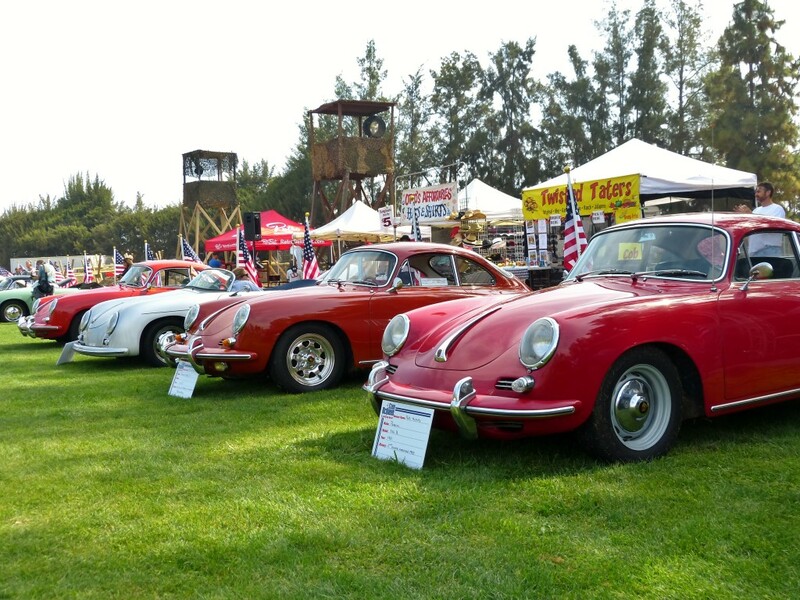 This year’s show focused on German cars, motorcycles and military equipment saluting the classic 1963 World War II film, “The Great Escape”. 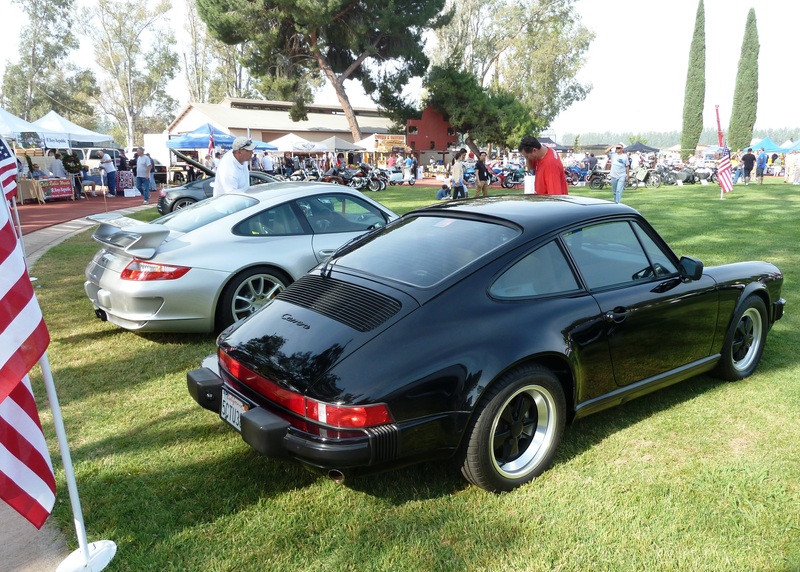 Spectators enjoyed a diverse collection of the classic, the expensive and the rare. 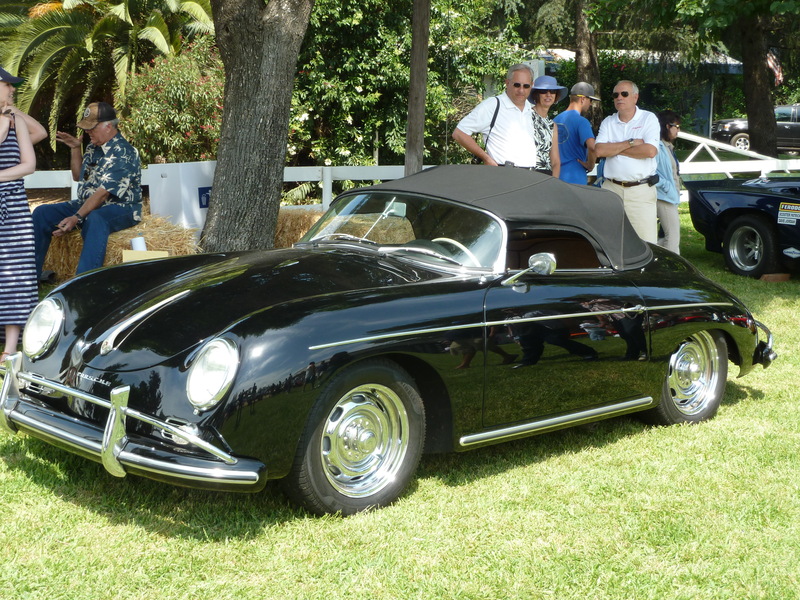 Highlights included a Cooper T-52 Formula Junior and Chad McQueen’s black Speedster, both owned at one time by Chad’s famous father. Crowd favorites included an original 1965 Ford GT40, 1949 Belly Tank Lakester, Roush Mustang. A 1935/41 Miller-Ford NOVI-Winfield also caught the eye. Entrants vied for a host of unique trophies designed and fashioned out of engine parts by the students of Boys Republic. Michael Dunn’s 1940 Zündapp motorcycle with sidecar broke out as The Great Escape Trophy winner. As the crowd mingled and strolled the field, a realistic reproduction of Stalag Luft III, the POW camp depicted in the movie, stood as silent sentry, complete with guard tower, cooler, tunnel, and barbed wire fencing. 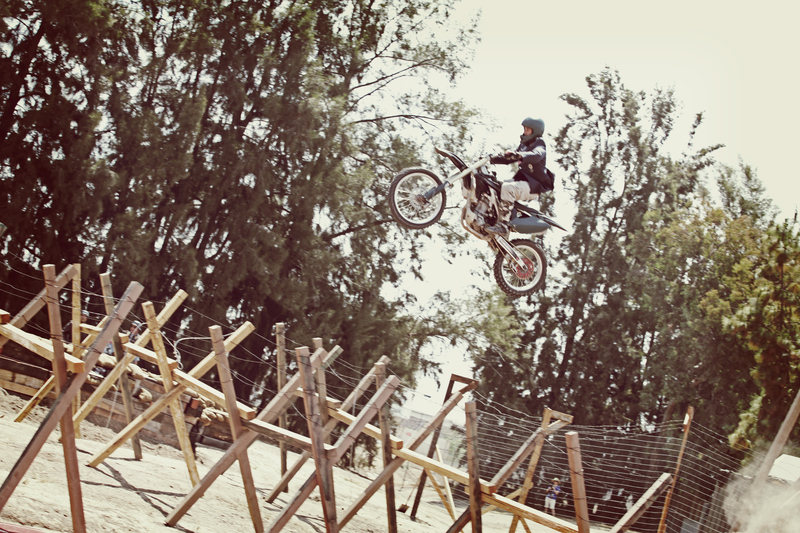 The set exploded into life as the California Historical Group, a World War II living history association, re-enacted the legendary escape scene portrayed in the film, complete with McQueen’s character, Hilts infamous motorcycle jump. 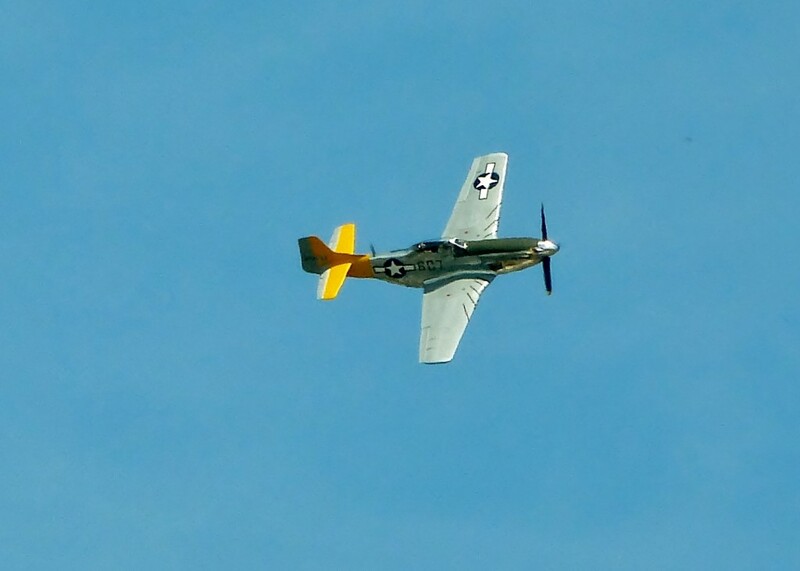 Rifle-carrying German soldiers fired on the M4A1 Sherman tank as a P-51 Mustang, complements of Chino Airport Planes of Fame Museum, performed a flyover. Since its start in 2007, the event has gathered momentum, and the proceeds for this year’s show approached $200,000. 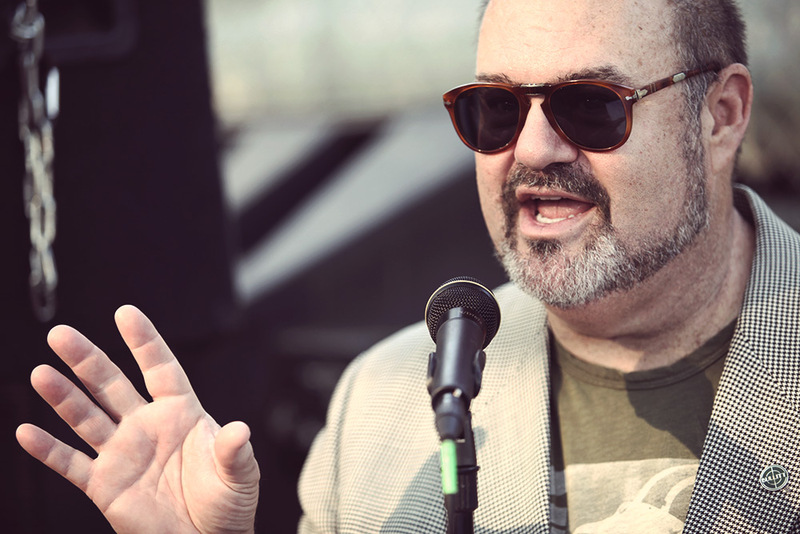 The beneficiaries of these monies, the boys of the Boys Republic, play a yearly role in this fundraising effort, participating in every aspect of the show from traffic control and parking to preparing and serving the Friday night pre-show dinner to 500 al fresco diners. The evening festivities featured a program MC’d by automotive journalist, editor and Speed TV commentator, Matt Stone, along with a silent auction, wine tasting with Rock Wall Wine Company, and a very successful live auction featuring 2004 American Idol runner-up Matt Rogers as auctioneer with Boys Republic students assisting as callers. The theme of the 7th Annual Friends of Steve McQueen Car and Motorcycle Show on June 7, 2014, will be The Thomas Crown Affair. 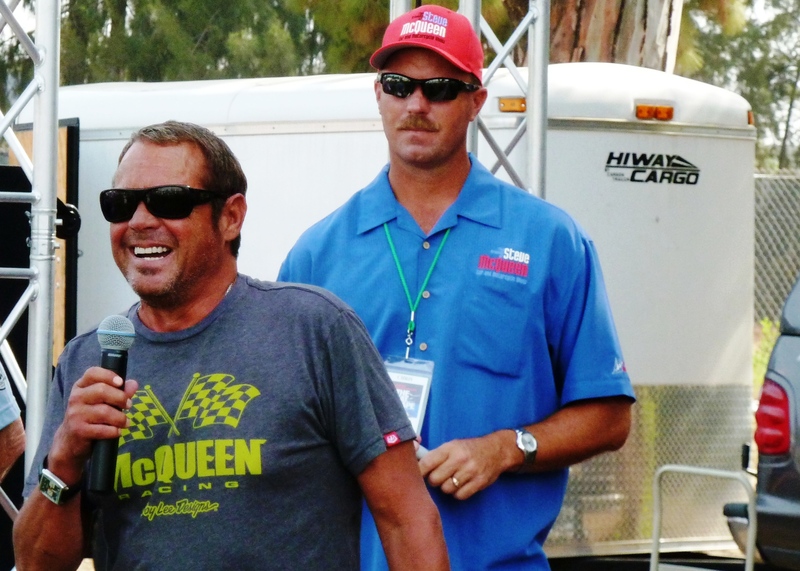 Chad McQueen, Steve’s only son, played the perfect host as co-chairman of the show. He greeted and thanked everyone, shook a million hands, and signed as many autographs. A fine dude, and this show and the school are very important to him and his family.